With ALL 3 R-series EPROMs! These are new "SoundSwitcher" boards for the Kawai R100. 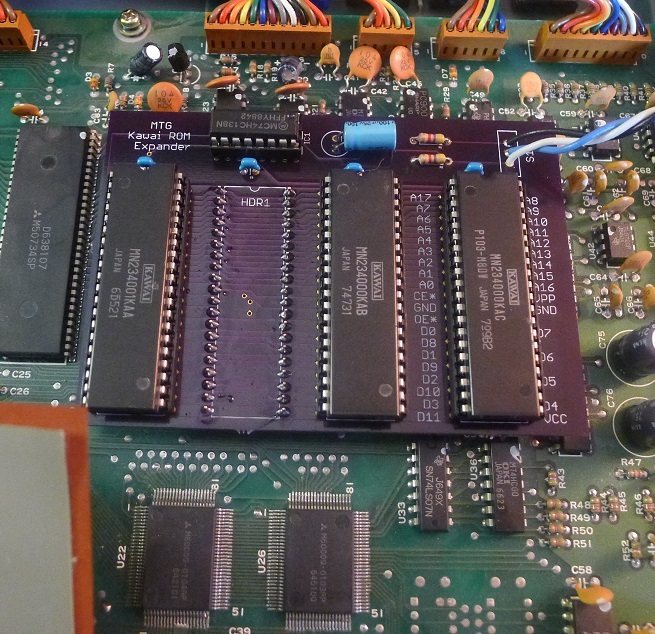 Each board includes copies of all 3 of the Kawai Factory ROMs that were released. (It is my understanding that these are the ROMs for the R100/R50, R50e and a jazz/fusion one.) You get triple the sounds and it's awesome. Set-by-step instructions with photos are included. Don't miss this chance to fit your R100 with all the sounds made for it. The circuit board is silkscreened with the signal names, so all you circuit benders out there can bend your drum machine without messing with a fine vintage instrument. 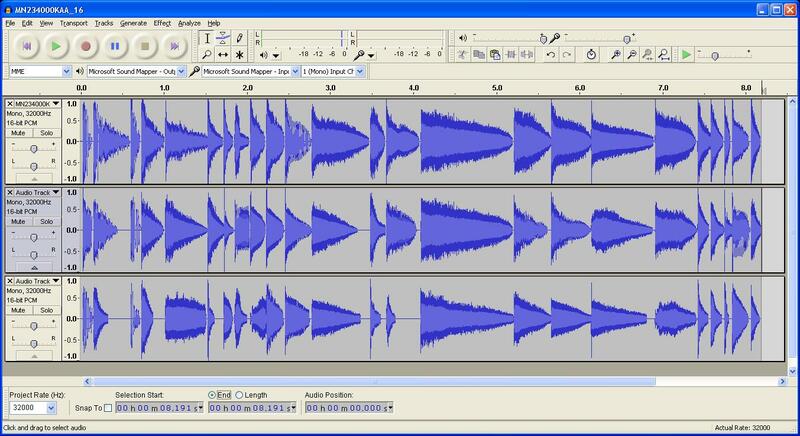 Also: The included R100Builder software shown below will allow you to burn your own sounds. 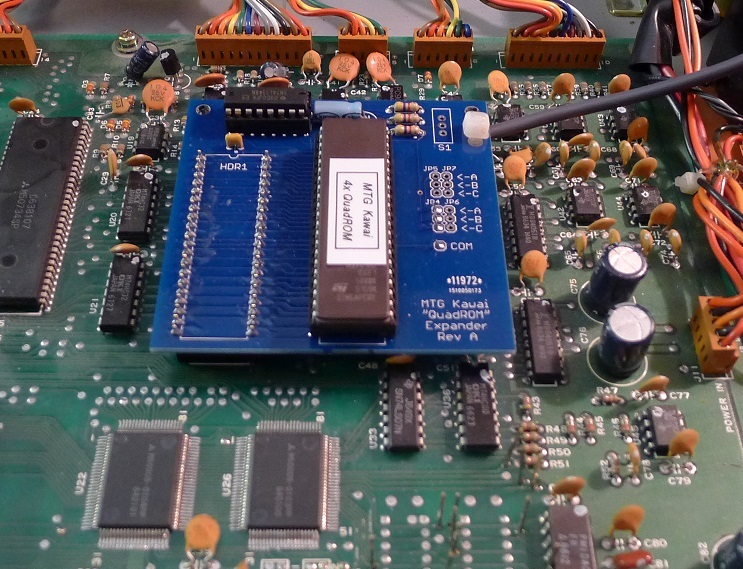 You will need an EPROM programmer that can program 40-pin 27C400 EPROMs. Where to buy? Please order off eBay and see this notice). With sounds from all 3 R-series EPROMs! And one more bank for you. This is a variation on the above 3x ROM switcher. Instead of using individual copies of the original ROMs, this unit uses one BIG ROM. This lets you hold 4 banks of sounds in your R100. The included R100Builder software (shown below) has been updated to support this QuadROM board. 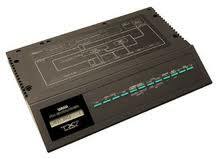 In order for you to burn your own sounds, your EPROM programmer will need to be able to program 42-pin 27C160 EPROMs. All 4 banks can be user programmed. All of the 3 original R-series banks are included as well as one surprise bank. Where to buy? Please order off eBay (and see this notice). With sounds from all 3 R-series EPROMs! This is a variation on the R100 4x ROM switcher, downsized to fit in the R-50 and R-50e. 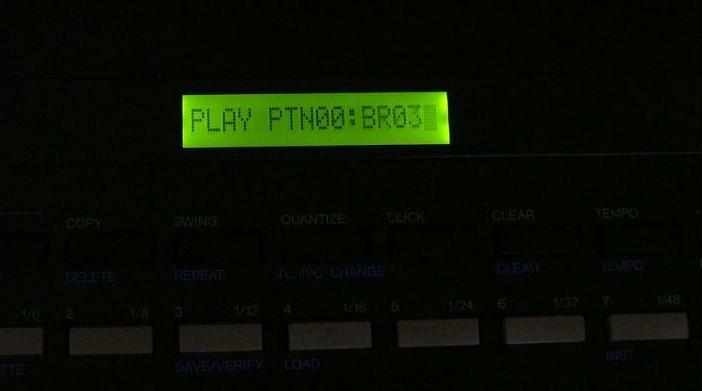 It basically converts either of these two legendary drum machines into a full-fledged R-50iii. So all the great sounds of the R50/R100 family are present but with the added on-board effects pioneered by the R-50 family (the R100 never had these features). To make it physically fit in the smaller R50, instead of using individual copies of the original ROMs, this unit uses one BIG ROM. This lets you hold 3 banks of sounds in your R50. 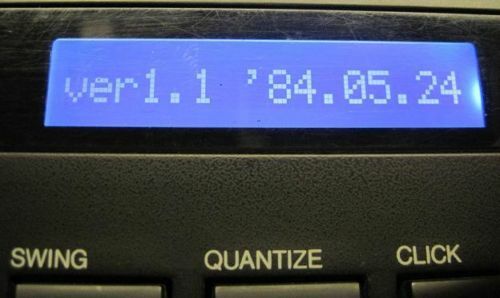 An OS upgrade equivalent to the R-50iii is also included. Soldering 3 wires is required. 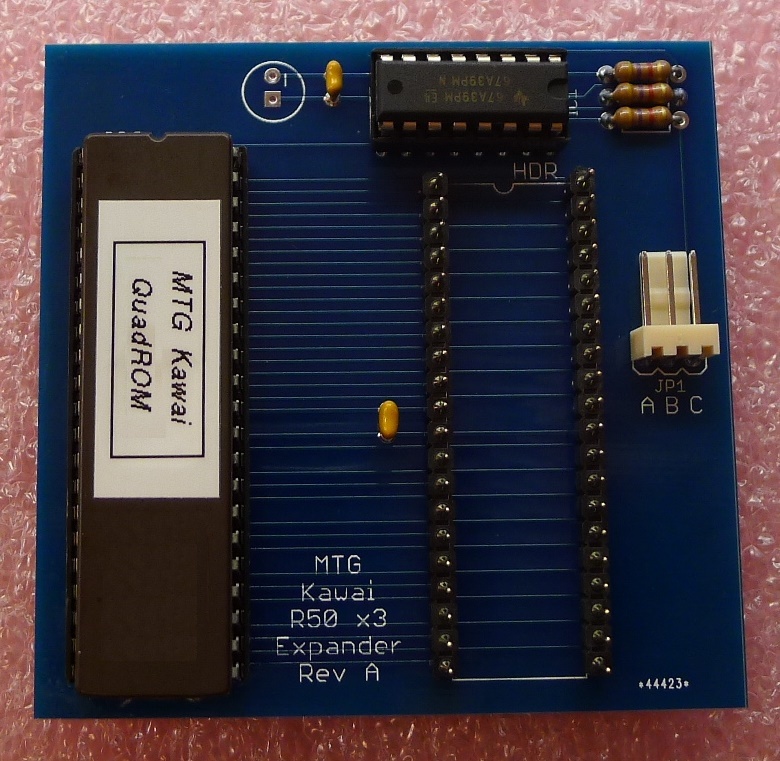 The included R100Builder software (shown below) supports this QuadROM board. 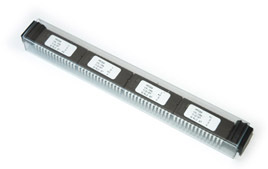 In order for you to burn your own sounds, your EPROM programmer will need to be able to program 42-pin 27C160 EPROMs. All 3 banks can be user programmed. All of the 3 original R-series banks are included. 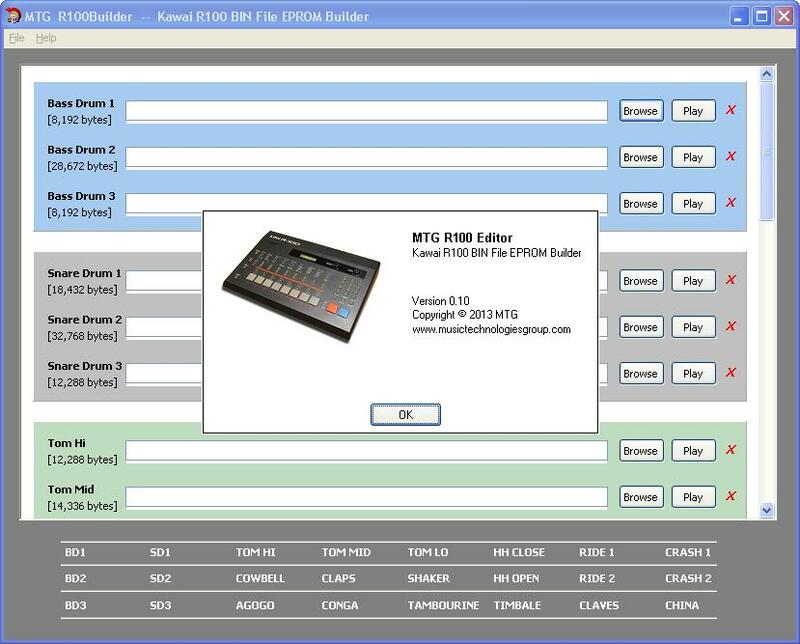 MTG R100 Builder BIN file EPROM builder is a free Windows software package that lets you make your own R-100 or R-50 EPROMs. This is companion software for the 3x and 4x ROM Switchers (above). 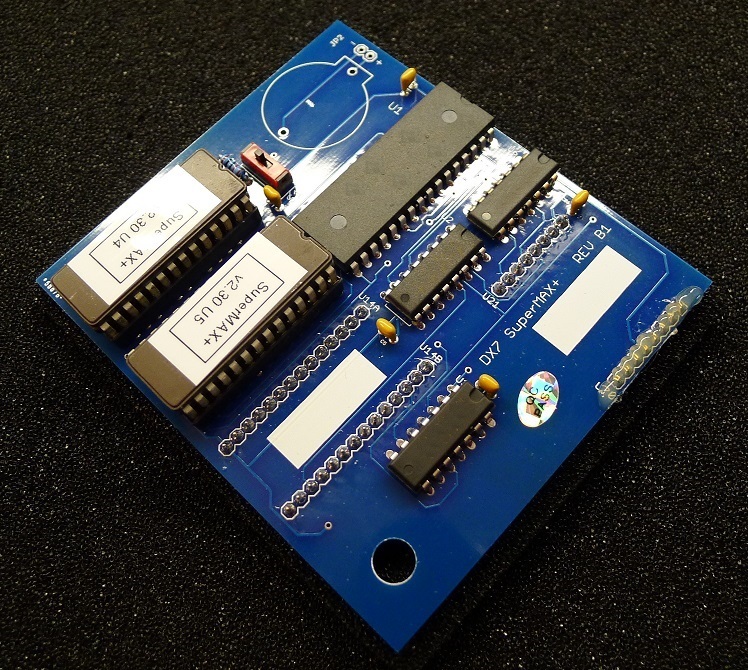 If you have an EPROM programmer and eraser you can make your own ROMs or have a tech them for you. Simple Project (INI) files can be saved and loaded so that you can easily modify file sets. WAV files are converted into the native compressed format of the R100. Visual indication of EPROM space usage is given. U-Law files from Linn, Oberheim, Sequential and others can be loaded (but resampling them is preferred). Easy to use. No programming or engineering knowledge is required. The user is expected to know how to manipulate audio files and an EPROM programmer is needed to burn the chip (or have MTG do it for you). Original WAV samples from Kawai are included. The specs for the WAV's are 31,250Hz, 16-bit linear signed PCM data (standard wav, except for the sample rate). 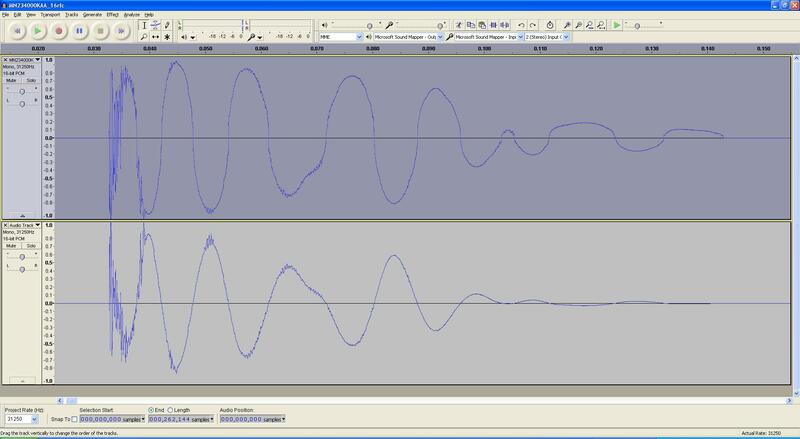 If you are using Audacity you can "resample" 44.1KHz clips to 31.25kHz. SuperMAX+ requires soldering only if you install the optional (included) battery holder. DX7_8x_Exp and DX-MAX(3)+ have two Groups (A & B) of 128 patches each. All MIDI patch changes work within a Group. DX7_4x_Exp and DX7_8x_Exp have a settable velocity offset parameter. 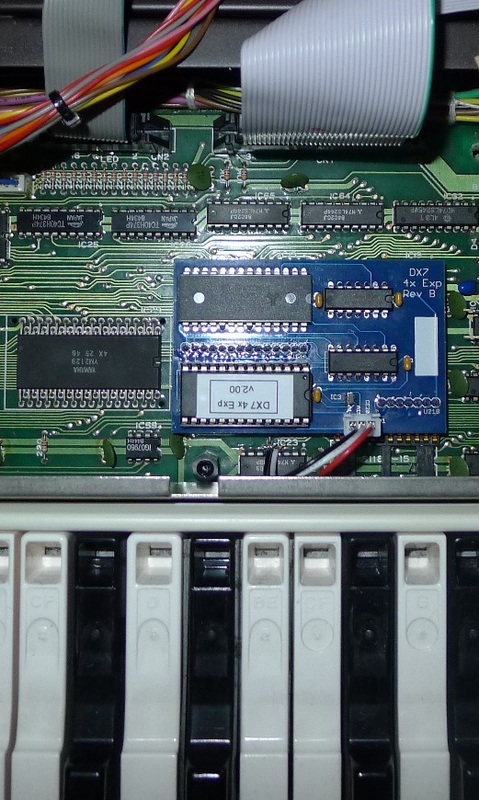 DX7mega128, DX_MAX+ and SuperMAX+ Rev B have a hardware velocity switch on the PCB. Memory expansion to 128 voices (patches) in an arrangement of 4 banks of 32. All voices (patches) directly accessible using standard MIDI Patch Change commands. Settable MIDI Out channel (and MIDI In too). Here is the installation manual. Here is the user manual. The DX7_4X_EXP and DX7_8X_EXP Expansions! 4x: Memory expansion to 128 voices (patches) in an arrangement of 4 banks of 32. 8x: Two Groups of the above, Group A and Group B, giving 256 patches. 4x: All voices (patches) directly accessible using standard MIDI Patch Change commands. 8x: All patches within a Group directly accessible using standard MIDI Patch Change commands. Both: Velocity Offset to compensate for the DX7's key velocity shortcoming. Both: Settable MIDI Out channel (and MIDI In too). Both: Local ON/OFF and keyboard split over MIDI. 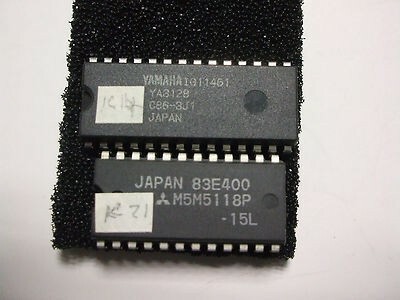 Both: Built on the standard Yamaha v1.8 (last) factory ROM firmware. 8x: You can turn off the infernal MIDI Active Sensing output ($FE). Installation does require soldering of three (3) wires. Get a tech to do it. Here is the 4x installation manual. Here is the 4x user manual. Here is the 8x installation manual. Here is the 8x user manual. Voice Stack and Detune: 1x16, 2x8 or 4x4 voice arrangement. PCB mounted Velocity Offset switch fix for DX7 keyboard/MIDI velocity issue. Gives full 127 on MIDI out. Memory expansion to 256 voices (patches) in an arrangement of 8 banks of 32. 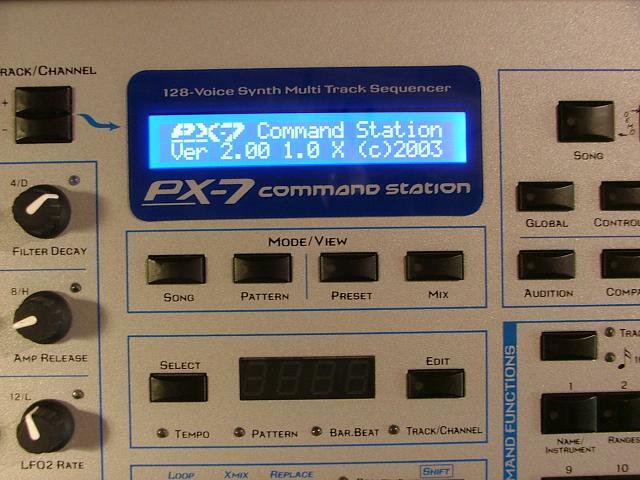 Patches accessible over MIDI using standard MIDI Patch Change commands as two groups of 128. Minor bug fixes and cosmetic changes to the user interface (LCD menus). Supported by someone that supports the original developer, not rips him off. Faster boot-up. Reduced boot time by about 1.5 seconds. Fixed a Yamaha bug in the oscillator frequency table. Memory expansion to 512 voices (16 banks of 32) & great new functions. 32 "Factory" sounds utilizing SuperMAX functions. 16 note x 1 voice normal polyphonic mode. 3 powerful stack modes (8x2, 4x4 or 5x3) with detuning, chording and octaving. 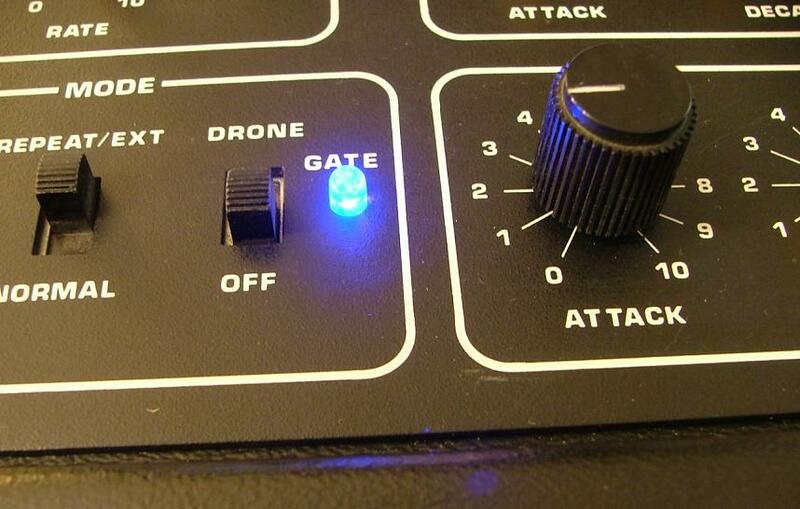 4 mode arpeggiator; the most sophisticated ever. Custom "Sound Creator" voice functions. 3 independently assignable MIDI keyboard zones. On-board delays to 9.7 seconds, with 15 variable repeats. User defined chromatic and fine tuning. Compatible with standard RAM and ROM cartridges. 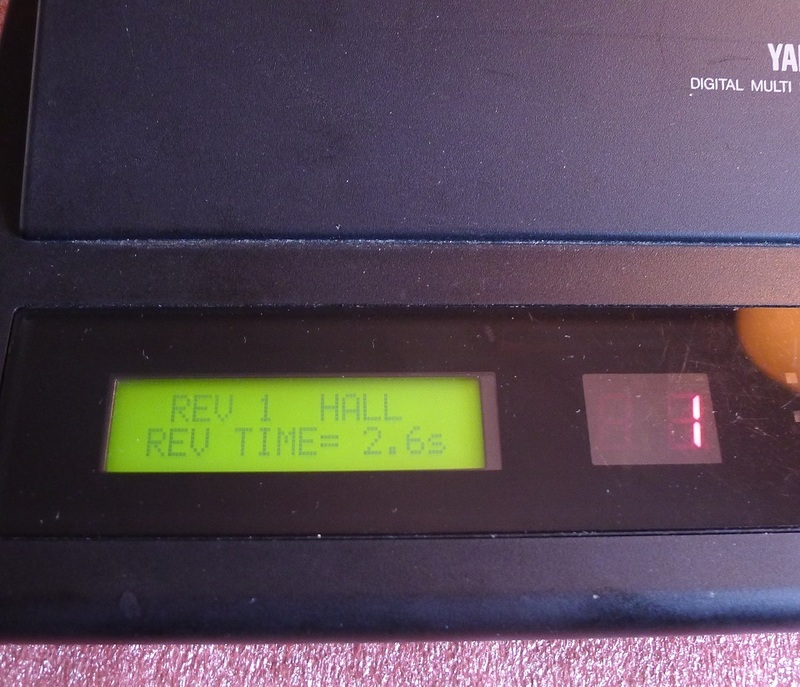 Battery holder included if you want to save your PCB from future CR2032 issues. Rev B: PCB mounted Velocity Offset switch fix for DX7 keyboard/MIDI velocity issue. Gives full 127 on MIDI out. Here is my NEW installation manual. Here is my NEW user manual. And here is a link to a 1988 Keyboard Magazine Review . This kit replaces the old non-backlit LCD on a Yamaha DX7 with a beautiful new LCD with long-lasting LED backlight. GREEN, BLUE, WHITE, ETC = All colours: no soldering required, only screwdrivers. Uses same Yamaha LCD connector so no hook-up mistakes!! The back-light is current-limited to protect the DX7 power supply from working too hard. Yamaha TX7 Backlit LCD Kit - Back in stock! This kit replaces the old non-backlit LCD on a Yamaha TX7 with a beautiful new LCD with long-lasting LED backlight. No soldering required, only screwdrivers. The back-light is current-limited to protect the TX7 power supply from working too hard. I also have the TX7 OS EPROM v1.4 (fixes various OS bugs) and other great chips on my EPROM page. These can be ordered by email/paypal. I have the following DX7 OS versions (unverified numbers at this time). Anyone having other contributions, please let me know! 1.1 - IG114610, Checksum=45E1, Kontron CRC*=AC3D. "1.7" - IG114640, Checksum=1789, Kontron CRC*=F2B8. It may be that 1.7 is actually 1.6. * - If anyone is wondering what a Kontron CRC is, it is a CRC that is easy enough to be calculated by an 8-bit CPU. Kontron (famous company) developed it for detection of EPROM errors in their MPP-80s and EPP-80 models. It's not unlike the Fluke 9010A ROM Signature algorithm, developed for the same purpose. I use a program I wrote to calculate it and thus can compare IC content with far more confidence than a 16-bit additive checksum can. I also embed the algorithm in 8-bit micros of my own design for self-testing. Here is my Kontron CRC program. And here is the algorithm (PDF). 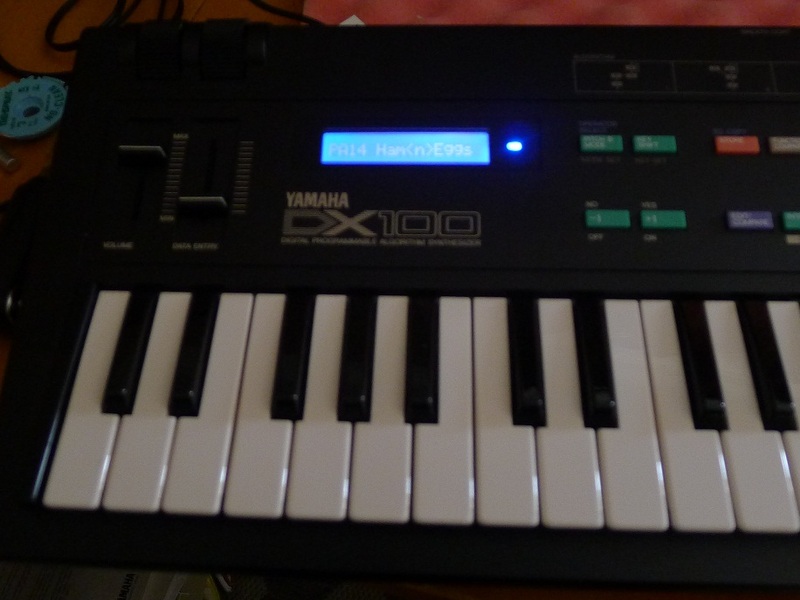 This kit replaces the old red (dim) 7-segment LEDs on a Yamaha DX7 with bright new white ones. These are impossible to find elsewhere (I know -- it's taken me months to track ones down that will work)!! Includes two single-digit, 7-segment, bright white LEDs. Uses "roscolux" or "leefilters" colored gels/filters to set the color you want (I will include a couple of good samples!). The old ones must be unsoldered and the new ones soldered in place -- requires some experience with soldering. 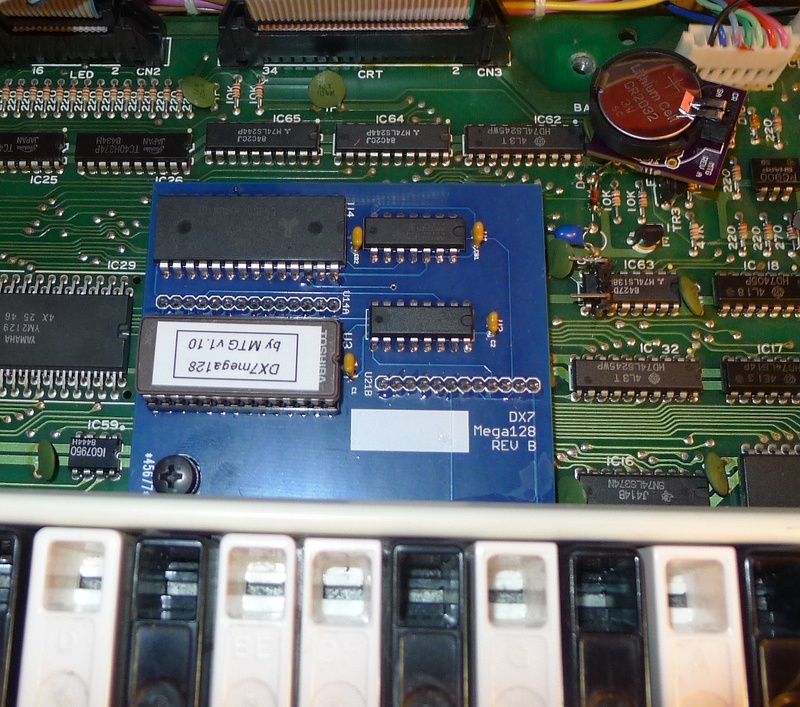 I also have the DX7 Special Edition EPROM as well as regular OS EPROMs v1.7 and v1.8 (these fix various OS bugs) and other great chips on my EPROM page. These can be ordered by email. 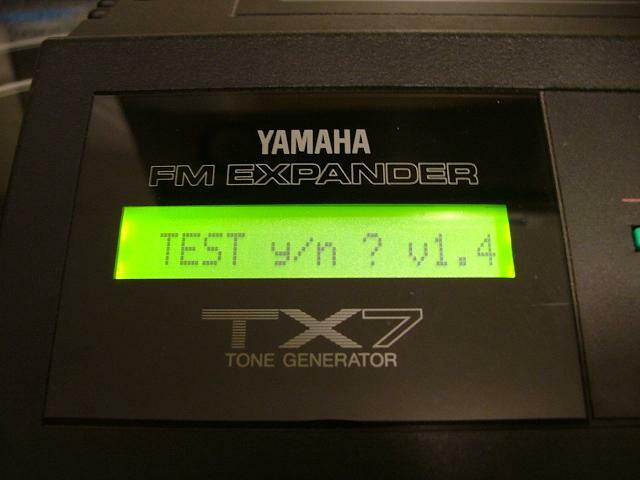 This Yamaha Canada SER (Special Edition ROM) replaces the old DX7 oeprating system EPROM and adds a few new features. Function parameters for each Voice can be saved to Internal Memory or a RAM cartridge. Current Master Tune settings are displayed. 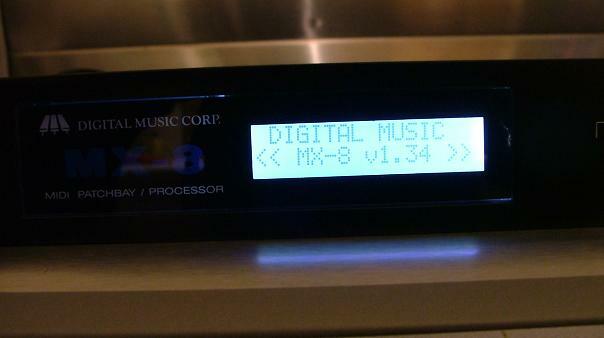 Expanded MIDI Channel Information features allow you to enable or disable Program and Control changes. 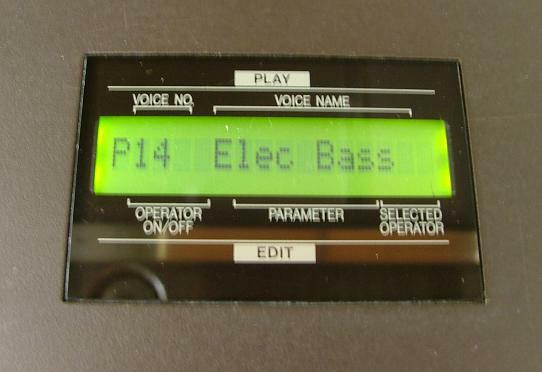 Expanded MIDI System Information On/Off features allow transmission of system exclusive data of a single Voice or all 32 Voices contained in Internal Memory. Initialization feature allows initializing Function parameters of a single Voice or all 32 Voices. An enhanced MIDI Receive feature allows selection of Omni mode or any one of the MIDI channels 1 through 16. An enhanced MIDI Transmit feature allows setting to any one of the 16 MIDI channels. Aftertouch On/Off feature. This parameter can now be stored with each individual Voice. An enhanced Main Volume Transmit feature allows tranmission of MIDI volume data by utilizing the Volume jack with a FC7 Foot Pedal. This parameter can be stored to each voice. 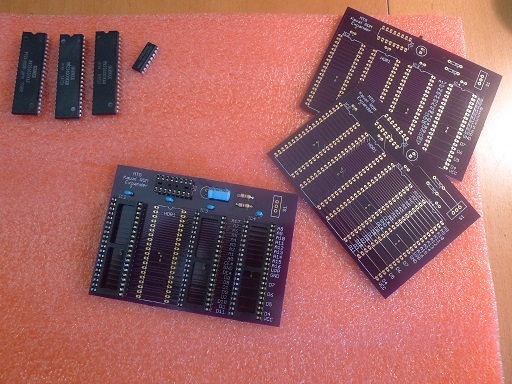 I also have the regular OS EPROMs v1.7 and v1.8 (these fix various OS bugs) and other great chips on my EPROM page. These can be ordered by email/paypal. This kit replaces the old non-backlit LCD on a Yamaha RX15 with a beautiful new LCD with long-lasting LED backlight. The back-light is current-limited to protect the RX15 power supply from working too hard. 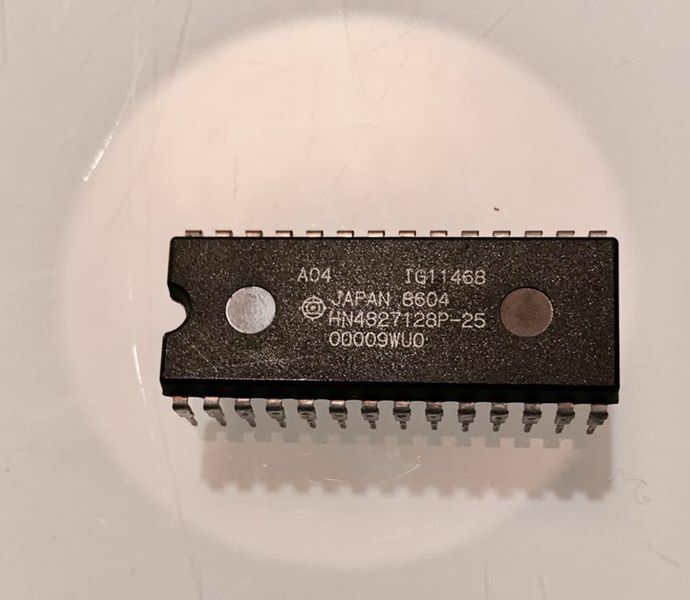 I also have the RX15 OS EPROMs "ver1.1 '84.05.24" and "ver1.1 '84.11.01" (fix various OS bugs) and other great chips on my EPROM page. These can be ordered by email/paypal. Open the case and fold over the main PCB. Unscrew the old LCD. Snip out all the old LCD plastic as flush with the front panel as you can. Remove and desolder the connector from the old LCD and install on the new one. The old VSS pin attaches to pin 1 on the new LCD. Glue the new LCD in with RTV silicone (not hot glue or crazy glue). After drying, wire in the old or new LED with wires from the PCB. Lexicon MRC blue LCD. We all know how bad the E.L. backlit LCDs get over the years. The MRC has to be one of the worst. Click. The nice blue color scheme unfortunately filters the LCD brightness a lot too. So these are two photos of a new LED back-lit blue LCD. It was hard to get the exposure right, so I shot two photos instead. Excuse my poor photography skills. This one was a big challenge because of the goofy 74HCTLS logic chips used. The old LCD didn't mind the glitches on the interface, but the modern LCDs sure do. I had to swap out some of the logic to make it work. Anyway looks great! This is a terribly under-rated MIDI control surface. It's super powerful and compact. 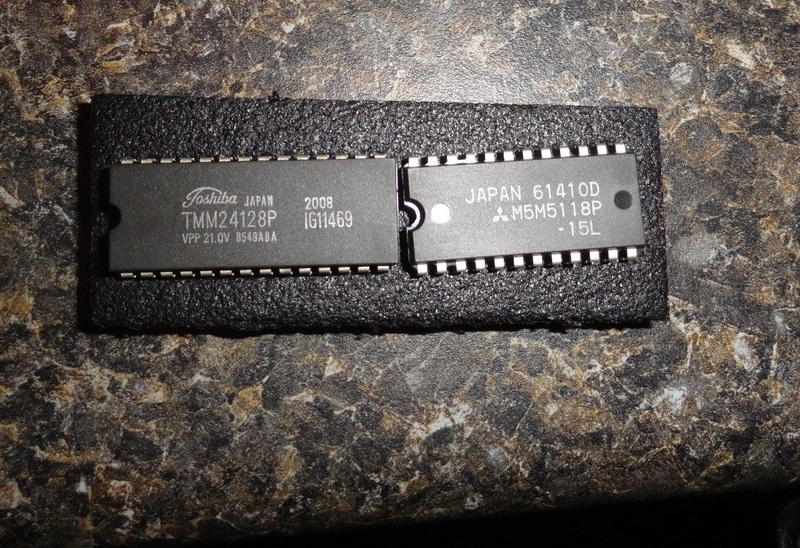 I also have v2 and v4 EPROMs for the MRC if anyone needs them burned (see my EPROM page). I am looking for v3.x if anyone has them for sale or trade. Emu PX-7 blue LCD for a customer. The customer supplied the LCD, I just had to tweak the LED current limit circuit and built a suitable cable. Looks very nice. Sequential Circuits Pro One synthesizer modification to change the old red LED to a new blue one. This is very easy to do. Note the flat edge on the LED when you put the new one in place of the old. You should probably change the resistor to a higher value too, or else the newer higher efficiency LED will blind you. LCD on a Yamaha DX27 synth This synth was a complete refurb. When I got it (insurance write off?) people told me to wear a mask when working on it. It was better than new when I was done. This one was actually a bit of a nightmare. There were a lot of devices made in the 80's and 90's with EL backlit (electroluminescent) LCDs. The EL panels burn out after while and the LCDs become unreadable. In this case the pretty blue LCDs are too thick to fit within the depth of the MX8 subpanel so it means you have to machine or nibble out a huge chunk of the aluminum sub chassis. It sure looks good though. RX15 LCD: For some reason Yamaha cheaped out in the early 80's and didn't use back-lit LCDs. They are pretty hard to use on a dark stage but they can all be updated. 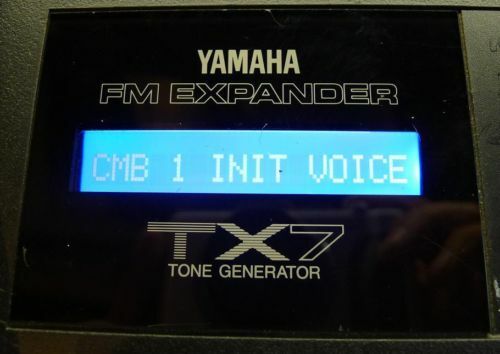 Yamaha TX7 LCD: Once more with feeling. Same LCD, better photograph. Yamaha REX50 LCD: Difficulty level: High. This is so hard no one ever does it. Just me. Once. This is the manual for the original MIDI Bass.